Like so many computer terms today, existing words are given new meanings, to the point where you must first find out the context of the term to see what it means, such as with:Responsive Web Design. In this case being Responsive means responding to a new environment or a different device and the website responds and changes its ‘design’ in a way to look as good. Older technology websites either used to shrink to fit on a smaller screen, so you have the website that’s squashed to fit on a small device or you would see a part of the site and need to scroll around to see more of it. With browser technology keeping up with style sheet and html5 development its now possible with the aid of style sheets, (the code that’s used to style your website), recognises various widths of devices its loaded on and can be altered its look and layout accordingly. In many cases the smaller devices need a simpler website to make it more effective and keep the loading speeds up. Leaving out some graphics or optimizing graphics for smaller screen sizes helps this process. Essentially 2 things needs to be focussed on when going to smaller devices for a website developer, its loading time/speed and the user experience. The website visitor needs to be as comfortable browsing your website as they would on a larger monitor. 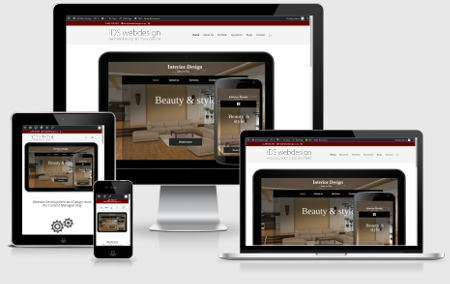 Trust this brief overview on Responsive Web Design has helped to define this concept and will help to look at websites and web development in a new way.